It’s planning season, and year after year, companies who are getting their lunch eaten by competitors on the web don’t think to put search engine optimization in their budget for next year. While new websites get launched with fresh designs, there’s budget for social media experiments and even paid search…marketers and CEOs often overlook the obvious. Search is about marketing to suspects, and it really is different than the marketing everyone is familiar with. Positioning, differentiation, and your USP are for prospects. SEO brings in suspects. So, the first thing you need to know about SEO is to forget what you know about marketing. New sites, social media and paid search ads aren’t bad things. All those are good, solid web marketing. These elements are traditional methods of marketing to existing prospects, just in a different format. What they fail to do is attract and harness the attention and dollars of people who haven’t become solid prospects yet. One of the biggest misconceptions about web marketing is that it’s a function of sales or design or IT. It’s not. 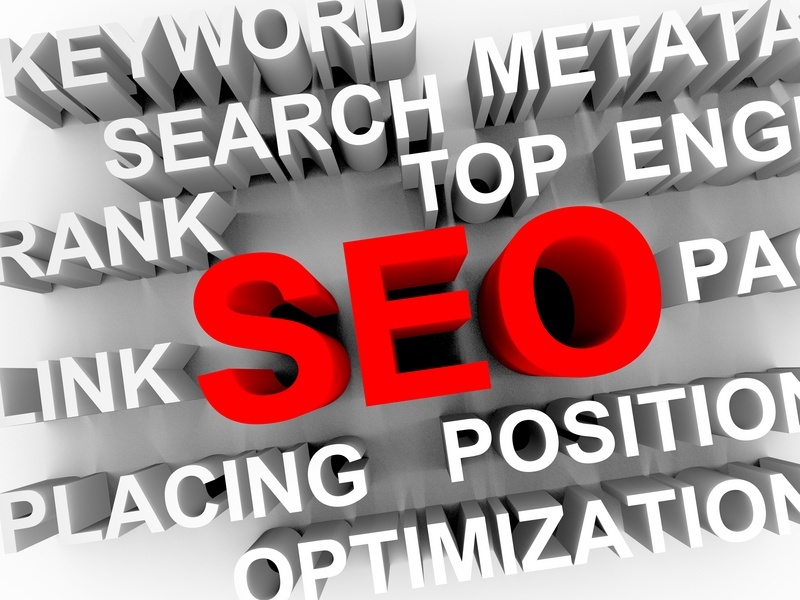 SEO is a marketing function, and a very leveraged investment. Effective web optimization cannot come from a designer or your IT department, unless it is supported by extensive research and built up over time. SEO tactics are based on marketing science, but writing optimized content that doesn’t turn off your site visitors is more of an art. Marrying the two allows you to get compelling content in front of the right people at the right time. SEO is all about finding the people who are currently suspects, not prospects, and delivering them to your front door. Suspects are people looking for your products or services, but not by searching on your brand. They’re searching on phrases, trying to see what their options are for solving their problem. A well-optimized site will let you be right in front of them, showing up as the solution that they’re searching for — and you won’t be paying by the click to do it. Business decision makers overwhelmingly prefer organic (unpaid) results over paid ads, because the perception is that the websites listed offer superior, authoritative solutions. Question: Does all of this work deliver more leads and sales? Yes, it really does. An optimized site creates a matrix of linguistically related concepts with plenty of supporting content. Search engines have become increasingly sophisticated in how they understand language and related ideas. That means that if you optimize the site on 30 specific phrases, it will be visible and rank well for many, many variations on those. If you choose more sophisticated terms as well as those that indicate intent to purchase, the site will attract well-qualified prospects and show up in their search results again and again. Here’s a real example of how a small number of terms leveraged correctly can dramatically improve the quality and quantity of leads coming in. Our Pennsylvania client, Aluminum Athletic Equipment, was concerned that they weren’t being found when people searched for track hurdles. These are quality hurdles, made in the USA, and used at the Penn Relays as well as in schools across the country. Now that their site is optimized, there are 150 different “hurdle” search terms sending traffic to their site, even though we targeted only a few key terms. College hurdles, practice hurdles, high school hurdles, hurdles for sale, etc. Across all their categories of track and field equipment, over 60 search terms have first-page rankings. The results? In 2010, they only got 77 quote requests via their web site. This year, they’re on track to break 500…a 550% increase in leads. Cost? About $25K a year for two years. As the client says, “It was lower than our PPC spending with a significantly higher ROI." An optimized site, with new optimized content being developed over time, will show performance improvement for years. So, in what could be a big shift in how you look at your marketing budget, think of SEO as an investment, not an expense. Your website is that important an asset.